Elmore Leonard has made a career out of creating great characters. So much so, they tend to pop back up again in other stories and films from time to time. This cross film character appearance thing Marvel is doing with their superheroes...it was done before with Ray Nicolette in Out Of Sight & Jackie Brown. That said, two of Leonard's characters get more airplay than the rest. Karen Sisco of the previously mentioned Out Of Sight and Raylan Givens. Givens made his first appearance in a tv movie based on the Elmore Leonard book called Pronto. He then made his reappearance on his own show Justified. So, what makes Raylan special? The same thing that makes the show special. He has CHARACTER. From his trademark cowboy hat and southern charm, to his always simmering rage and quick trigger finger. Played brilliantly by Timothy Olyphant, The Deputy US Marshall of Harlan County is layered with CHARACTER. But he's just the anchor of the show. 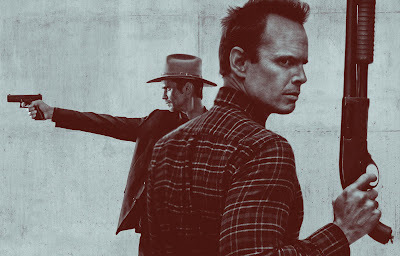 Justified, in it's brief stint on tv has become the show to watch if you want to see uber interesting characters and interesting performances to boot. It might be the only show I can remember seeing where the hero's arch nemesis is probably just as beloved as the hero himself. That arch nemesis being Boyd Crowder. Brought to life by Walton Goggins, Boyd Crowder is the Joker to Raylan's Batman. However, you respect and love his wit, his brains, and his rapport with Raylan. The character was supposed to die in the pilot but was so good they made him a staple on the show. Raylan and Boyd's relationship is the life blood of Justified. Justified at its core is just a modern day Western set in a country town. But the plot of the show isn't what makes it great. Its the placement of the amazing CHARACTERS in different situations and seeing how they react to one another. One moment Raylan or Boyd or Dickie Bennett or Wynn Duffy or Robert Quarles or Limehouse could be smiling and laughing with you. Then, at the drop of a hat, shoot a dozen holes right through your chest. 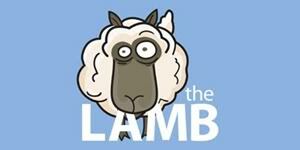 Its a CHARACTER driven show that is easily my favorite show on tv right now. You won't be able to watch just one episode. Go ahead. Watch one...then tell me I'm wrong.